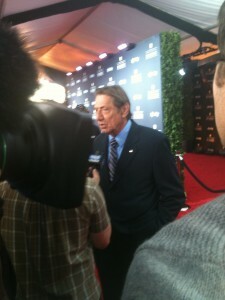 Joe Namath greets reporters on the red carpet at the NFL Honors tonight. 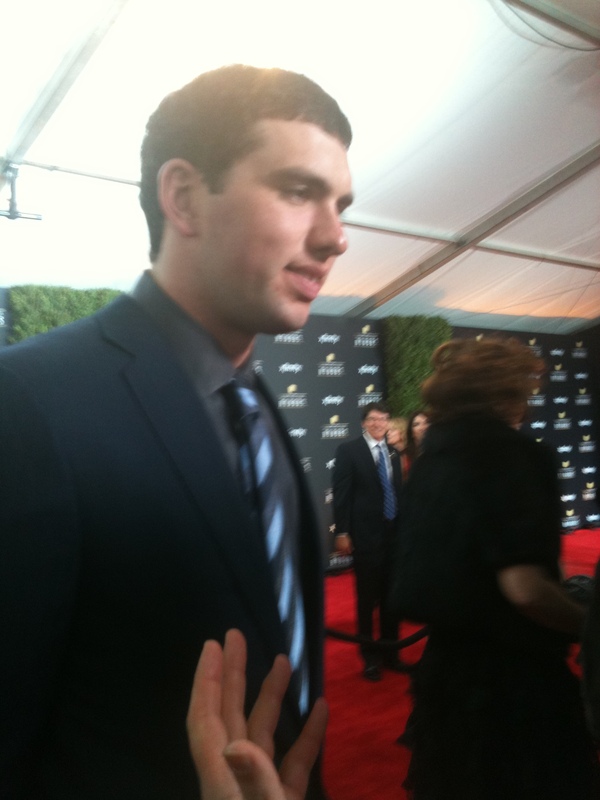 The NFL’s best and brightest strutted the red carpet this evening in preparation for tonight’s NFL Honor’s Show this evening. 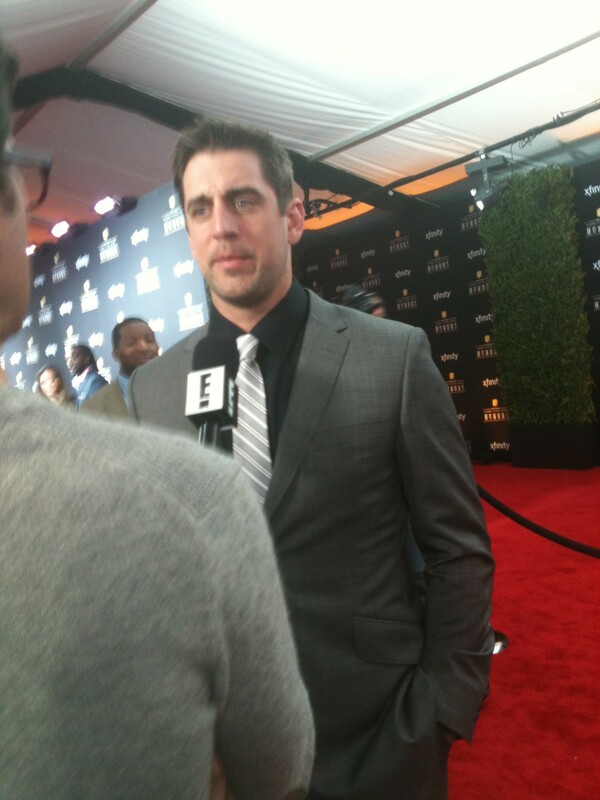 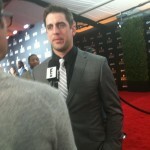 Packers QB Aaron Rodgers talks to reporters about his excitement for tomorrow’s Super Bowl as a fan of the game. 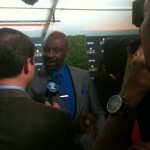 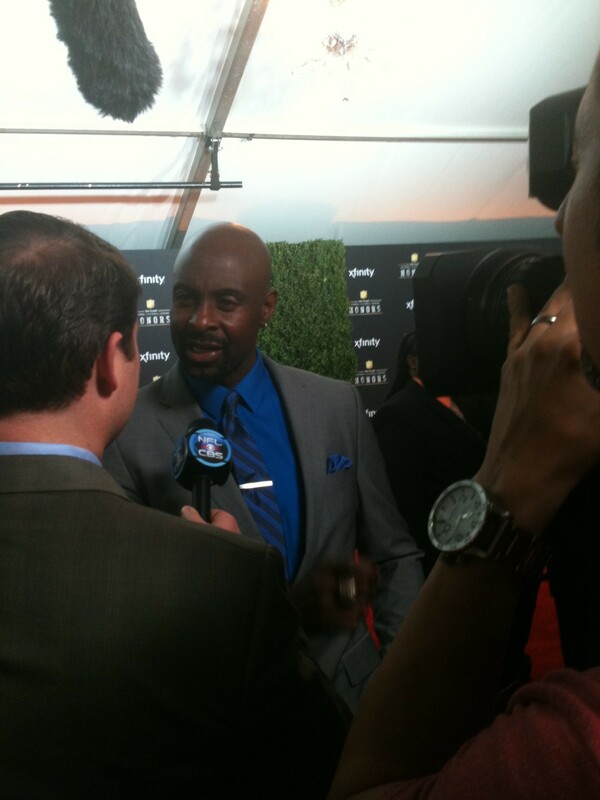 Former 49er WR Jerry Rice recalls his last Super Bowl in New Orleans as a player. 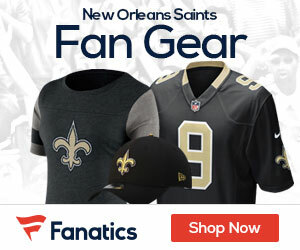 He described how restless he felt the night before the game, but was excited at the same time, as it was the culmination of a childhood dream. 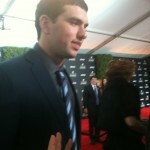 Colts QB Andrew Luck talks about building for the future in Indianapolis. 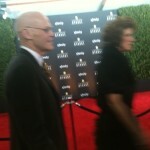 New Orleanian and Political Strategist James Carville walks the red carpet with his wife Mary Matlin. 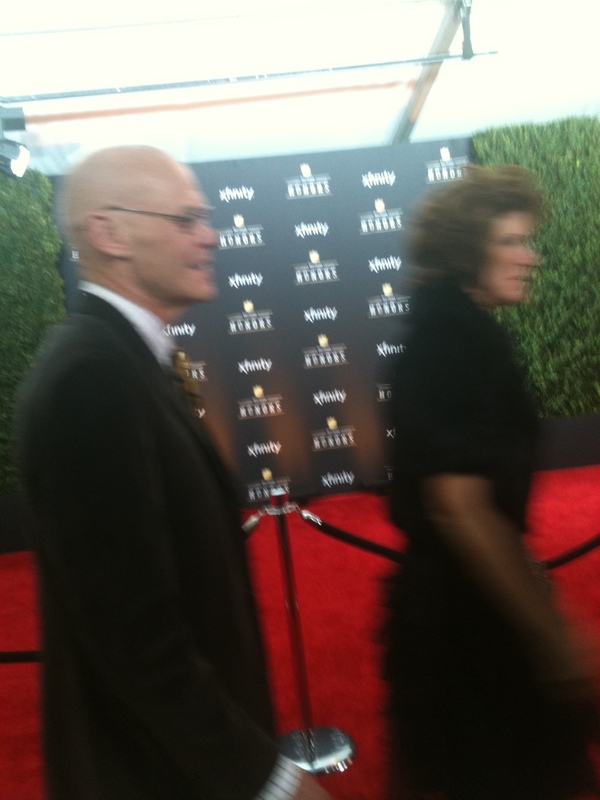 They both served on the Host Committee for the city.